There's no denying that photography is changing fast but are you changing with it? What started out in the 80's as a format to display graphics on the web has made a comeback thanks to the fearless creativity of hipsters. With its small file size and compatibility across the majority of smart devices and social networks, the GIF is an ideal format for hybrid photographers. Thanks to tools like the iPad and Echograph, the GIF has making it's way into the hybrid photographers toolbox. 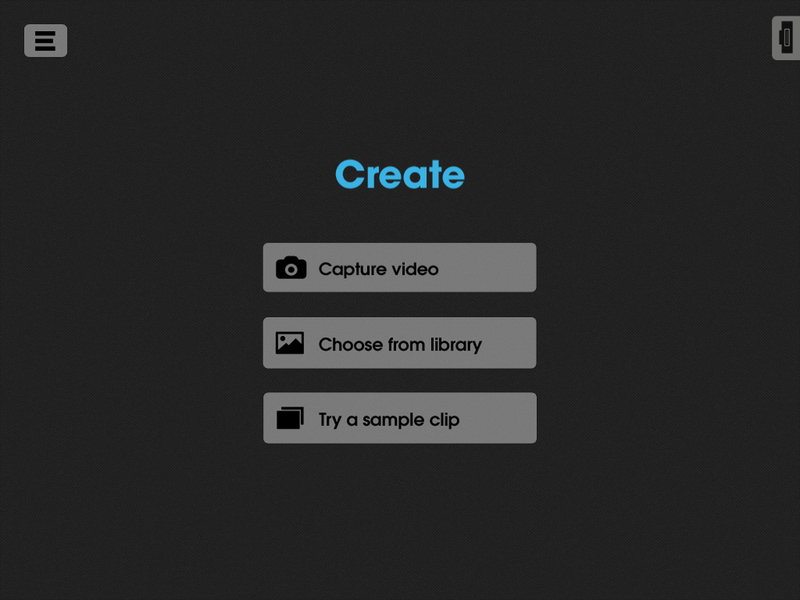 Cinemagraphs look just like a still photograph but move and come in various formats such as .MOV, .MP4 and GIF. For this tutorial we're going to be using the iPad to take a .MOV or .MP4 file and make it into a GIF. The nice thing about the GIF format is that it's easily viewed online, in emails and on mobile devices. Making GIF from video in photoshop can be a real pain. The GIF, while in Photoshop, might look great but when you save for web, the file size can be huge! So now you have to go through the process of making the pixel dimensions of the GIF smaller, save for web, check in file size and render out again only to see that the extra work you went through was not much help. Now you go through the process again and again and again..well you get the point. While its fine to spend time in post if you like it, or if your job has budget, sometimes you simply want to shoot and share. This is where Echograph comes in. Echograph is a iOS app designed to make animated GIFs fast and easy. With Echograph you upload a short video clip from your camera to the iPad using the Apple Camera Connection Kit. The kit comes in two versions, one for iPad with a 30 pin connector and the other with the new Lightning connector. When you upload your media using the connection kit to your ipad the files will be in the iOS photo library buit in the Photos app. Once you launch Echograph you're given the option to Capture video, Choose from library or Try a sample clip. Select Choose from library. Choose the video you want to use. Note - If you touch the video clip once you will see a preview. Now choose what 5 seconds of video you want to use in your GIF then you'll choose a poster frame. It's also here that you get the options to loop, reverse and pause the GIF at the beginning of the animation. I recommend that you experiment with these settings to learn what works for you. I use all three options but sometimes I don't want the animation to pause and prefer a GIF with an infinite loop such as in the GIf of the breaker below. Next you'll want to paint the parts of the GIF you want moving. I find this part to be the most fun probably since you can paint with your finger. :-) The parts of the image you don't paint on will become the parts of the GIF that don't move. Thats it you're done! Just export with the HiDef settings and be sure to email yourself a copy. Here's the finished GIF. You can easily get a copy by emailing it to yourself. Take your GIF into Photoshop for further experimentation. In the example below I made the GIF pause on two different frames and removed the black border. Setup hints are in the screen cap. Cinemagraphs are just one part of the hybrid photography pie. There are no rules with hybrid photography, just shoot, make it look cool and be happy. To many the iPad is simply a tool to check email and to update socials but for the hybrid photographer it is a valuable tool. What apps are you using your iPad as part of your daily workflow or business? What would you need to replace your current computer with a tablet?